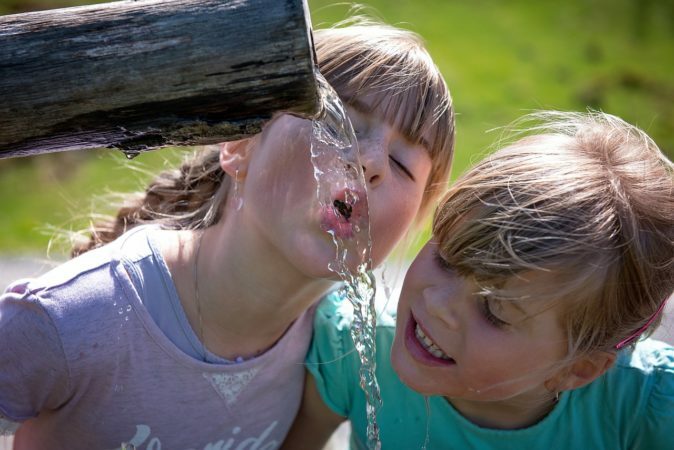 Selecting best RO water purifier can be a little difficult when you don’t know what things should be kept in mind while selecting one for your family. Drinking pure water is must because most of the body problems start with drinking impure water. So read all these points below to get an idea what should be looked in a water purifier before making a purchase online. Read more about Reverse Osmosis on Wikipedia. 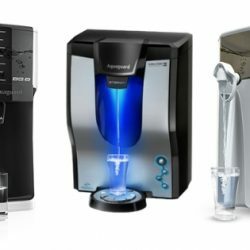 2 How To Select Best RO Water Purifier In India? 4 What is RO water purifier? 4.1 Why use RO water Purifier in your home? 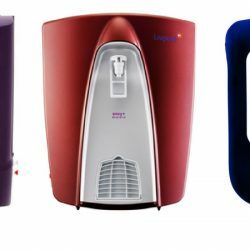 How To Select Best RO Water Purifier In India? Check the capacity of the storage tank because this comes handy when there is a shortage of electricity in your area. RO takes some time to clean water and that’s why storage become so much important because you cannot that clean water instantly. if you are living in the family of 3-4 people The 5- 7 letter of storage in RO is sufficient. Applicable TDS range of supply water. This is very much important to note that what is the TDS (TOTAL dissolved salts) Present in your water. The total dissolved salt level is above 100 then you should install an RO water purifier. Generally, RO filters work fine for TDS level range of input water supply between 500 to 1500. Percentage of water wasted is very much important because RO rejects about 50% off input water supply. Companies like Kent, Aquaguard, HUL know this thing and they use membranes and technology which reduces water waste up to 25%. Retaining essential minerals in water also known as the taste enhancer. Since RO use a physical method to clean water thus all kind of minerals and salt are removed and this makes water tasteless. But nowadays water purifiers comes with taste enhancers which add necessary minerals required by our body And also makes water sweet. A booster pump is required most of the times because RO water purifiers need a high pressure of water at input supply. So if your water supply is not having required pressure you need to purchase a booster pump, don’t worry as this is supplied during installation but extra charges are applying if they do not come pre-installed with your RO purifier. Try to purchase a combination of RO and UV water purifier because RO cannot kill viruses and bacterias present in water which are responsible for many water borne diseases. Check the type of installation whether it is tabletop, Wall mount or Under sink. 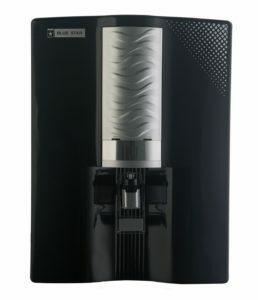 If you don’t have too much space in your kitchen then you can look for Wall mount Purifiers and if you want to keep your kitchen clean you can install an under sink RO water purifier. 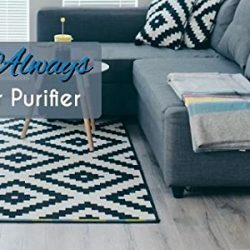 Always check reviews on eCommerce sites like Amazon and Flipkart so that you come to know which purifier requires less maintenance charges throughout the year. You will also come to know which company provides better after sales support. 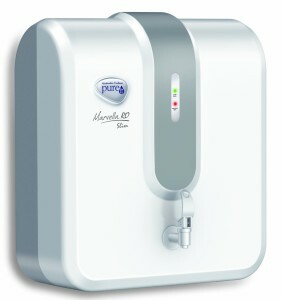 You can read more about how to select best water purifier in India. 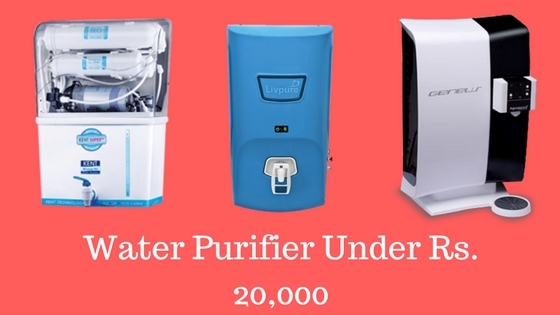 The market of water purifier is very large there are lots of Companies who are manufacturing water filters but as a consumer, you need to know which brand are good. Best RO water purifier needs membranes and filters of great quality so that you get ideal water for drinking which is good for your health. Good brands also take care of their customers and provide better after sales support because water purifiers need maintenance after every 3 months and also try to keep maintenance cost lower. RO or reverse osmosis is the best technology to purify water and it is most widely used in water purifier to clean water up to 80%. If the water supply is from the river or if the water contains viruses and bacteria which causes water borne diseases they cannot be removed with RO you need UV Technology for that. 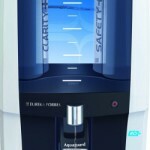 Due to this RO is combined with UV Technology to give 100% pure water. If you are confused about your water supply then you should purchase an RO-UV water purifier. RO+UV+UF is combined to remove even smallest impurities from water. Which can be needed only for water containing high TDS level or blackish water. Different water purification technologies RO-UV-UF has different pros and cons due to their filter mechanism. 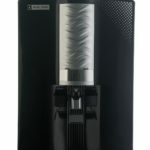 These are some of the best selling water purifiers that I have selected on the basis of my experience and user feedback. Hope you like them and buy the best one for your home. 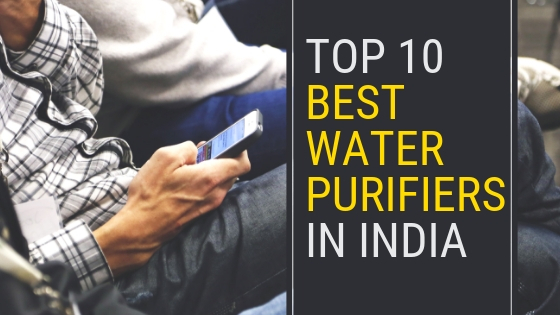 Lets take a look at 5 best water purifiers reviews and ratings. 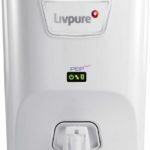 Livepure is one of the growing brand in water purifiers and we have seen people appreciating their products. They are selling like hot cakes in the market also their price and service is also good. 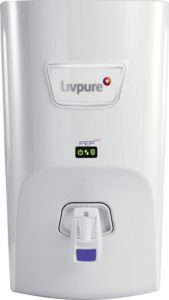 The same thing is happening with their model Livepure pep plus model it is selling very fast on Flipkart people purchase it without thinking because it is under Rs. 10,000 and you get a good quality product from a recognised brand. You can find Livepure Glo on Amazon which is also a great product under 10,000 with almost same features. The company is giving RO + UV + UF technology under Rs. 10,000 which is the best selling part of this product. It has 7 Litres of storage which is sufficient for family members of 4-7 people. It can remove TDS up to 1500ppm which is quite good for basic RO performance. It has 6 stage Purification process which includes pre carbon filter, RO, UV and taste enhancer at last. Livepure is also offering 1-year warranty on the product along with free installation and demo on call request. 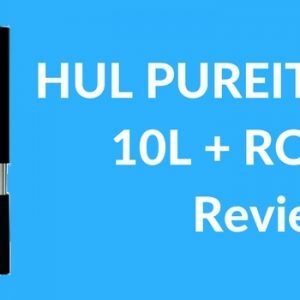 In my opinion, this is a clear winner for the best RO water purifier in India. You can trust and easily buy this product without any hesitation. 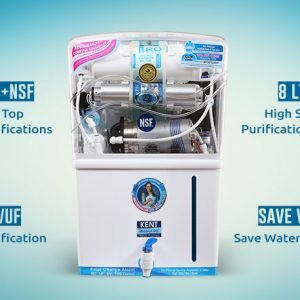 Kent is one of the trusted brands in water purifier section and it has got certifications from various Indian government sectors that’s why product quality of kent is great and they are selling like hot cakes. 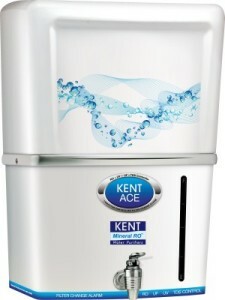 Kent ace has 7 litres of storage capacity with RO + UV technology to give ideal water for drinking. RO membranes block chemicals, salts, heavy metals and UV kills germs and bacteria present in water so you get water free from all kind of impurities. 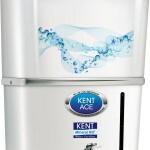 Kent can be your best RO water Purifier for your home and family. 7 litres of huge storage tank. Double Purification by RO + UV + UF to give 100% pure water. 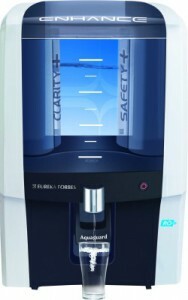 This water Purifier from Eureka Forbes has been in the market for a very long time. It can be trusted to deliver clean and tasty drinking water. 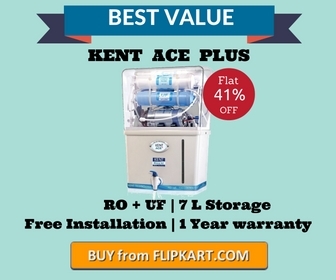 There are some great advantages of using this water purifier like it has 7 litres of storage tank it can block any kind of dirt, heavy metals, bacteria and lots of other impurities. 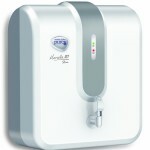 It is one of the best RO water purifier in its category. Enhance RO service and parts can be easily found in the market and its filters can lower the TDS of water up to 90%. Taste enhancer ensures tasty water with sufficient minerals retaining capacity. 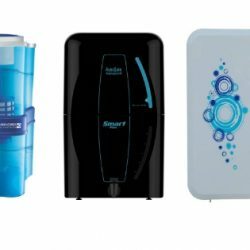 Blue Star is one of the oldest company to manufacture products in different categories from AC to water dispensers earlier they supplied big water purifiers & dispensers for commercial users. You might have seen water filters from Bluestar in your school, office or any other big organization. Now they have personally come into serving common people with their advanced water purification technology. Blue Star Majesto will be the last RO water purifier for your home you will get good service and product quality is far from the best. You can see their price is little high but they are offering quality and service in that price bracket. There are several good features in this RO water purifier. 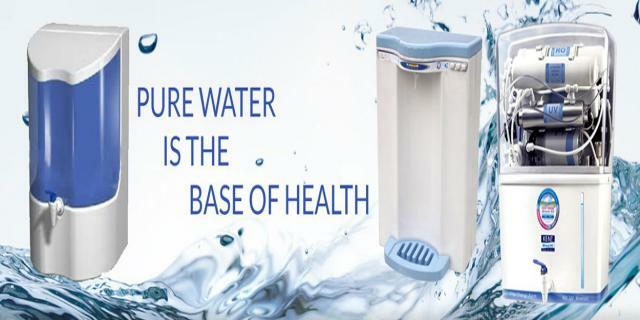 It Purifiers water with best RO technology to give you pure drinking water free from diseases & germs. Its capacity is huge 8 Litres which is good for a big family of upto 8 – 9 members. It comes with Aqua taste booster so water does not taste bad as generally happens with an RO. Water passes through 6 stages of purification including RO, pre & post activated carbon. Free Pre filter at time of installation which companies generally do not provide. You can call them for demo as well at your home. Pureit marvella is very slim in size and it will easily fit inside your kitchen but do not underestimate its purification power. Marvella slim RO comes with 6 stages of purification process which can remove all kind of impurities present in water. It has a break free resistant tap which can be used freely without any worry of getting broken easily. This has one major benefit of no annual maintenance contract. RO stands for reverse osmosis it is the best method to purify water because there is no chemical used to clean water the process of reverse osmosis uses the physical method to clean water. So when we drink of water it is chemically free and purified at the same time. That’s why it is important to install a best RO water purifier at your home because they are capable of removing all kind of impurities and dirt present in water. Read more about RO water purifier? Why use RO water Purifier in your home? Now let’s take a look it is an important aspect of using an RO water purifier at your home. 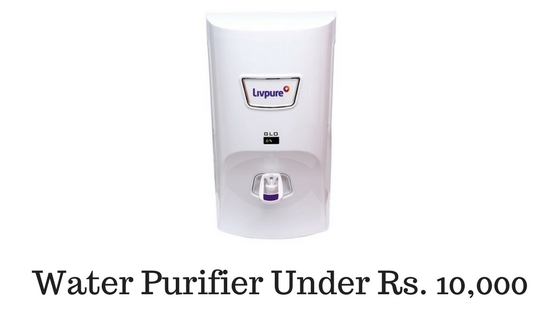 RO Purifier removes heavy metals like lead, arsenic Mercury from the water. These heavy metals a very harmful for our body and cannot be removed from a human body. 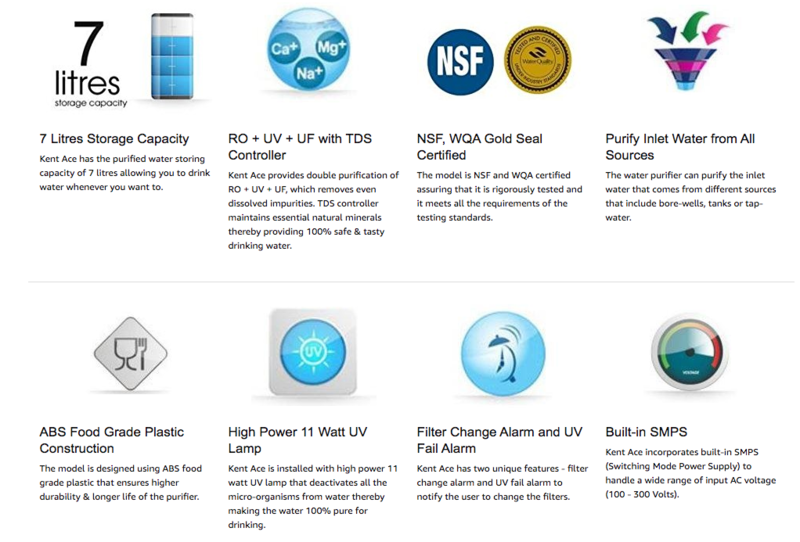 RO systems do not use a chemical to clean water so you get pure water free from impurities. Reverse osmosis technique is able to remove even the smallest particle like bacteria fungus cyst various kind of dissolved salts and impurities from water and gives almost 80% pure water. They are environment-friendly because no kind of chemical waste is produced while water is filtered. Membranes of RO filters can last longer so they need less maintenance as compared to other technologies used to filter water. They are able to clean blackish or khaara water and make it clean and free from impurities. 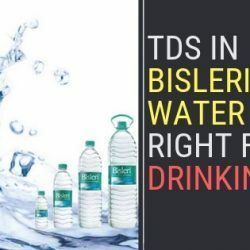 Only RO water purifiers can lower down the TDS to such a small level where water becomes ideal for drinking. 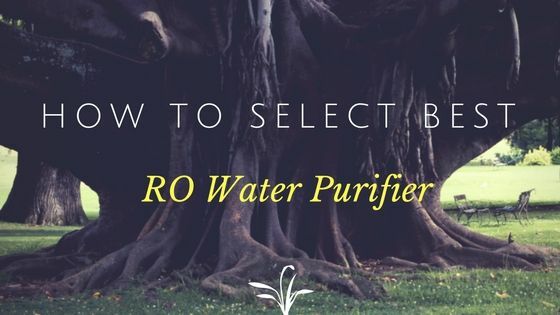 This was all about best RO water purifier in India hope this would help you to select one for yourself easily. Water Purifiers needs maintenance so always check company’s service which will help you later.